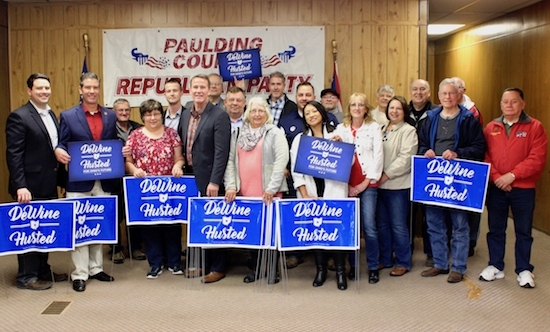 PAULDING – On Friday, Nov. 2, Ohio Secretary of State Jon Husted visited Paulding County. Husted made a stop at the Republican Party headquarters to campaign for his upcoming election of Lt. Governor of Ohio. Also joining him were Craig Riedel, Republican candidate for state representative, and Robert McColley, candidate for state senator. Husted talked about his plans and goals for the state and what he would do if elected.